911uk.com - Porsche Forum : View topic - 996 GT3 what do you think ? 911uk.com Forum Index > 911 GT, R & RS Models (1973 - current) > 996 GT3 what do you think ? 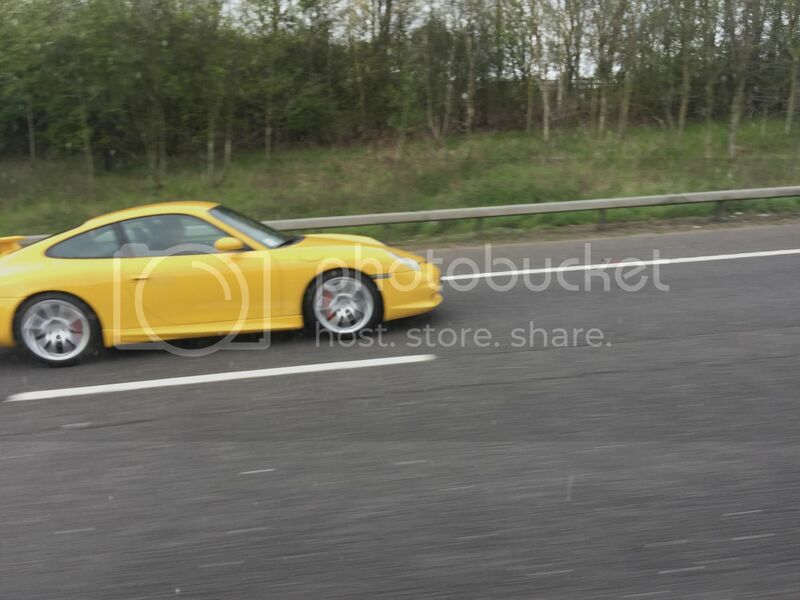 Posted: Sun Apr 14, 2019 7:13 pm Post subject: 996 GT3 what do you think ? I wonder if some of you guys would give me an opinion what’s the general thoughts on the GT3. Are they desirable, do you prefer gen 1 or 2, any major issues. The reason for the questions, I am an air cooled fanatic and familiar with what’s what, but after the 993 I am lost. That said I have a GT3 that imo is stunning and so tempted, but as you have probably realised haven’t a bloody clue. 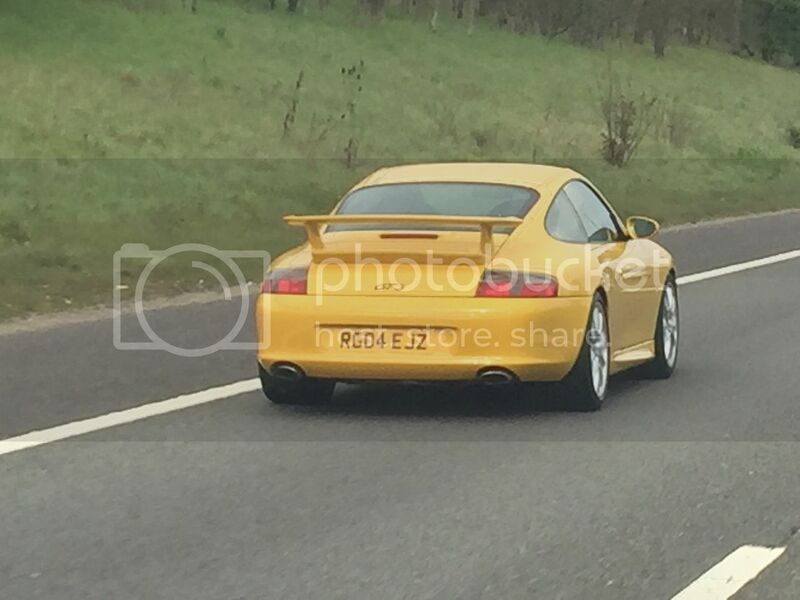 Posted: Sun Apr 14, 2019 8:13 pm Post subject: Re: 996 GT3 what do you think ? "what’s the general thoughts on the GT3. Are they desirable, do you prefer gen 1 or 2, any major issues"
" I have a GT3 "
I am not sure what you are after You have a GT3 but want to know if they are desirable - ??? If I was you I would pop out on a Sunday when the raods are claer and enjoy what you have. I think the OP skipped a word? I have (seen) a GT3 and tempted.. Otherwise post makes no sense. 996 GT3, yes desirable, yes overpriced now, yes a very good drive, better than a 993 even in cooking spec rather than gt3, no it's not aircooled, its not quite as pretty, it is more practical, apart from gt3s come with rear seat deleted so actually maybe less practical from that point of view. Sorry wine and posting, at least in my case don’t mix. No I don’t have a 996 GT3 but I have seen one and from the pics it’s stunning so very tempted, but knowing nothing about them, or any other water cooled porsche for that matter thought I would throw it out there, to discuss. The one I have seen is £69000. The pics just gets me fired up, but spending this kind of hard earned money on something you know nothing about is a bit soft in the head, hence my post here, if I was a lottery winner, well I would order it over the phone and be happy to stare at it, but I am not. • Original alloys recently refurbished so spotless. • Recent new front condensers and radiators. • Rolling road dyno in May showed car producing very strong 399BHP. • Big folder of all service history and receipts. • Factory fitted Roll Cage. • Special order matching painted air vents. Saw this on Sunday morning, M25. Posted: Mon Apr 15, 2019 3:18 pm Post subject: Re: 996 GT3 what do you think ? Clearly as an air cooled enthusiast you are looking in the right place - the engine in the 996/997 GT3 is of course the ultimate evolution of the block that Mezger designed for the 964. A quick run down, though if you want full details then the search on here will allow you to dig considerably deeper. The 996.1 is the original, and as such is unquestionably destined for bona-fide classic status. Many consider it the purest driver's car of the model. In the UK in particular it sold in in only very small numbers and Clubsports are particularly rare (and which are the only non-RS GT3 with a single mass flywheel from the factory). Facelift aside, the 996.2 is essentially the bug fix. It has stronger gearbox synchros and an extra gearbox oil cooler. It has a bit more power, higher rev limit and better brakes. While fine for road use, twistier racing circuits exposed the gen 1 as being a bit under-braked for the track so the Gen 2 went to 6 piston front callipers. Ceramics were introduced as an expensive option, but to be honest if it is to see track time then you don't want them, though you will find the unsprung weight difference actually is something that you can feel through the steering. The gen 2 also wears slightly wider rubber out of the box and has cup holders and a glove box. Personal opinion is that the Gen 2 is the better car (which is why that is the one that I used to have before I moved on to the 997.2) but the Gen 1 is likely the safer place to put your money long term if you aren't buying for track work. But that said - there simply is no regret in 996/997 GT3 ownership and all models have reasons why you might choose them over the others. The car in your link looks a decent one - 9e have a strong reputation and if you like a bit of yellow you won't be disappointed. The only caveat is that if future collectability features in your decision making then a Clubsport would be my recommendation (if you can find a good one without too steep a premium). Sorry guys, had trouble posting a reply. Thank you Colin for your comprehensive reply, the way my wife (it was her that started this Porsche addiction) and I view our cars are, we are prepared to pay the right price to get the right car and if we can have a bit of fun with them for a few years and when we have to sell, if we get our money back then we feel that we have done well. But in reality by the time you paid insurance, regular maintenance and the odd repair, unless you are going to keep a car for a very long time I am not convinced about the investment route. Maybe if your in the, buy a car for 10million and move it on for a profit in the future, but sadly we are not in that league. Also for us we like cars that are of a high standard and useable, have no interest in a concours that, IMO as had it’s history rubbed out to a degree that it’s lost it’s soul. But each to their own and that’s what the Porsche brand as, something for everyone, whether you into air cooled, water cooled, outlaw, concours, original and not forgetting 4 x 4. Anyway think we have got to view this one. Lovely looking car (in the metal, the colour really suits the 996 GT3) and a very high spec. The dealer is a very well known specialist that many of us here have dealt with before, so if you like the car, why not? For my money, the Gen 2 996 definitely edges the Gen 1 on looks. Any Mezger-engined GT3, from the 996.1, right through to the unicorn spec 997.2 4.0 is a great car, the like of which no manufacturer can or will ever make again.